Faisalabad (Monday, October 03, 2016): The department of National savings of Pakistan is to held a balloting draw of Prize Bond 15000 on 3rd October 2016 at Faisalabad city. 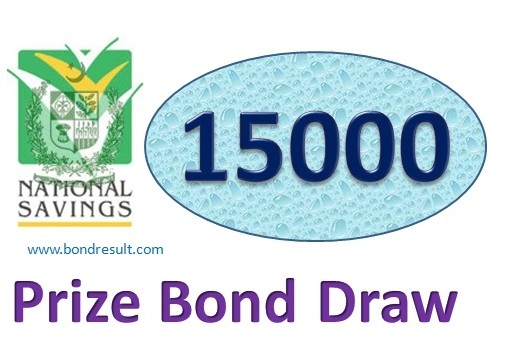 This is #68 Draw of Prize Bond 15000 Draw List 2016 till so far. You can download Prize Bond Rs. 15000 Draw List Result Faisalabad 3rd October 2016 on this page today. 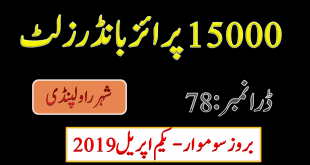 The whole 15000 Prize Bond list 2016 helding at Faisalabad city will be updated here. This is third highest value prize bond having good worth of Prizes everyone wish to get in life. The prizes are very best and with great OMG. Yes you will love to listen them from some one mouth. The first prize of this worthy prize bond is Rs. 30,000,000/- (three Cror). Oh! that’s are very high in only fifteen thousand Rupee. But this is given to only one from the 999999 numbers. But you have other option to great bulky amount in money. Yes that is Rs.10,000,000/- (One cror). This is also a very good amount and interesting thing is that it will be given to three numbers. 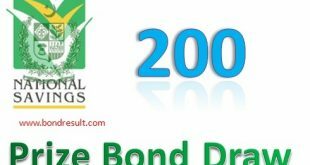 The 15000 Prize Bond list 2016 will be good choice to get rich in a day. And if you are not getting from these also you will get the third chance of getting Rs.185,000/- (One lac and Eighty five thousand Rupee) and more interesting this is that this prize will be awarded to 1696 people and you have good chance to win from these 1700 prize. And if you are unable to get any one from Rs 15000 Prize Bond List 3 October 2016 draw then you have a better luck for next draw that will be held next year 02 January 2017 at Karachi. and we wish best of luck for you in this draw held on 03-10-2016 on Monday at Faisalabad City today. The complete draw list of Rs 15000 Prize Bond Result Faisalabad List 03 October 2016 will be uploaded at this page on 3.10.2016 but if you are not getting the list then you can download it at 5:00 pm on this page. The official website of national savings of Pakistan saving.gov.pk will update the list first. you can get more prize information on prize bond draw schedule page and get the date wise draw in all cities of Pakistan. Will will upload complete Rupee 15000 Prize Bond list 2016 fsd draw #68 on this page very soon….